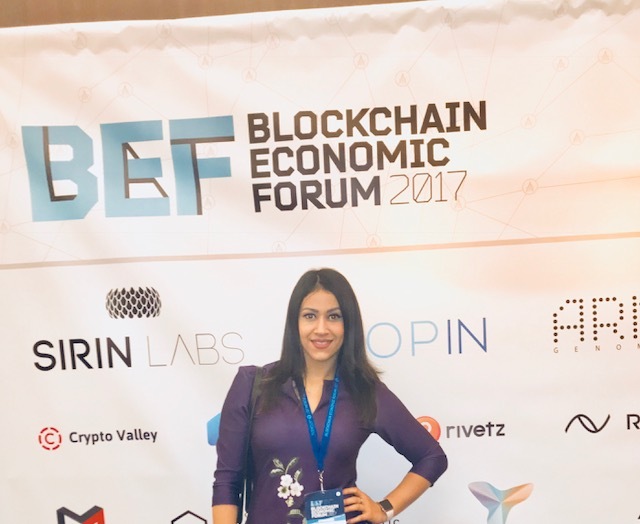 A couple of years ago, universal recognition of blockchain technology opened up amazing opportunities for entrepreneurs around the globe to revolutionize almost every economic sector, from finance and real estate to healthcare and transport. LAToken contributes to the ongoing revolution by adding blockchain to antiquated processes still used for selling assets and investing money. We made hard assets tradable in crypto to bridge crypto and real economies, enabling small investors to get access to previously closed markets, like real estate and artworks, and significantly improving user experience of trading. For more than 7 years, I’ve been working for global investment companies and hedge funds. I couldn’t help but notice how old-fashioned the traditional capital markets are. They simply can’t effectively reallocate money in the economy from the players who are in a situation of over-liquidity to those who can use them to create additional value because of three main reasons. First of all, transaction costs — commissions can be as high as 25–30% — result in tens of thousands of dollars losses every time anything big is bought or sold. Secondly, intransperancy of markets creates asymmetry of information, when investors don’t get the full data about the asset that the owners have. It leads to erosion of markets: low-quality assets become more profitable to sell than high-quality assets. Finally, many markets are closed to retail buyers — for example, the entrance level for real estate and artworks markets stand at thousands of dollars. Even if you see an amazing investment opportunity, you wouldn’t be able to invest without a considerable starting capital. All this slows the economic growth, reduces the productivity of companies and entire regions, and deprives many quality ideas of the opportunity to be implemented. The money just doesn’t het to be at the right time at the right place. The system shouldn’t look like this in the 21st century. There’s a huge room for improvement. And we know how to fill it in. To build something big and attractive, you have to have a vision of the way things could be done better. That’s something that the brilliant and still unidentified creator of bitcoin — Satoshi Nakamoto — definitely possessed, when he posted a White Paper, describing the groundbreaking technology behind the new cryptocurrency. In simple words, it was a shared, trusted, public ledger that everyone could inspect, but no single user could control. It soon became clear that blockchain could transform the whole economy, working as a «trust machine», removing middlemen from any transactions, bringing disruptive cost reduction and unprecedented transparency to the traditional processes. Bitcoin provided the first example of how the outdated payment process could be revolutionized by replacing banks and other financial institutions with a mathematical algorithm. The idea was so attractive, that the capitalization of bitcoin leaped to $70 billion in just 9 years, overtaking such giants as FedEx and PayPal. Bitcoin’s rapid take off didn’t go unnoticed, and after a few years the technology behind bitcoin finally got the appreciation it deserved, with everyone from governments and regulators to global corporations and startups looking for ways to use blockchain with their products and services. Last year, in a vote of confidence for blockchain technology, the Republic of Georgia, in cooperation with blockchain industry pioneer the BitFury Group, decided to implement the technology for validating property-related government transactions. Since the launch of the project in February 2017, more than 100,000 documents have been registered the new way. Global corporations have joined the race as well. In November 2015, the world’s biggest financial institutions formed the R3 consortium to research and develop blockchain database use in the financial industry. They already got positive results, proving that the technology can help facilitate easier interaction in banks’ back-end infrastructures when processing trades. And Barclays already carried out the world’s first blockchain trade transactioncutting a process that takes 7–10 days to less than 4 hours. I could go on forever with these blockchain success stories. Looking back, we can say that, in many ways, the triumph of the technology was predetermined. If we are being honest, we have to admit that the current systems are too clumsy, too expensive, and too slow, as well as overregulated and opaque. Blockchain can change everything. Once the LAToken team came to that conclusion and realized that the whole economy is on the edge of a technological revolution, we quickly picked our slice of the growing crypto-economy pie. Just like Satoshi ten years ago, we have a vision of the world, where the new transparent, fast, decentralized crypto economy is finally bridged with the real assets. The differences between LAT platform and traditional markets are striking. For example, if you were to invest in real estate right now, you’d have to get a large amount of money for the lump-sum mortgage, go through tedious paper works and lawyers, and you’ll also have to bear a massive burden should the real estate market fail. With LAToken, you can buy tokens — fractions of the hard assets instead of paying huge money upfront which is massive gamble. We have already built the first multi-asset tokenization platform, where hard assets, ranging from Apple or Tesla shares to gold and real estate ETFs are already traded for cryptocurrency. New asset classes will be added soon to enable you to buy fractions of rare paintings, French castles or New York penthouses with just $100 and sell it with profit in a few years. Or you can get cash by selling your house by fractions to thousands of investors without borrowing money and paying interest. This is the world we are building. We make the markets liquid, transparent and safe, and bring transaction costs to minimum (0,001–0,1%). This way we give the crypto holders an opportunity to diversify portfolio without converting to fiat. Owners of illiquid assets, such as real estate or works of art, can tokenize them and sell by fractions with a liquidity premium estimated at 10–40%. Fiat traders can prefer LAToken to NASDAQ due to lower transaction costs and 24/7 availability. Thanks to the advantages of LAT Platform and the easy process of creating new tokens backed by real assets, assets worth $1.2 trillion can be tokenized and traded on the LAT Platform by 2025, while the total crypto market capitalization can reach $5tn, according to LAT Crypto Research. We believe crypto will dominate the global economy. And we work hard to bring crypto expansion to multi-trillion dollar markets closer to make them fit for the 21st century. (ends on October 10 at 6 pm GMT). We are #1 among tokenization platform by funds raised with $18+ million raised from 12,000+ contributions. Don’t miss the chance to join our community and get LAT with an 8% bonus(can expire at any moment, when a batch of 2,5M LAT is sold).